China is the world’s biggest mobile phone manufacturer and has fined Qualcomm $975 million (6.088 billion yuan) over unfair market dominance. Qualcomm has now agreed to lower its royalty fees on licenses in China, which will help domestic smartphone companies. 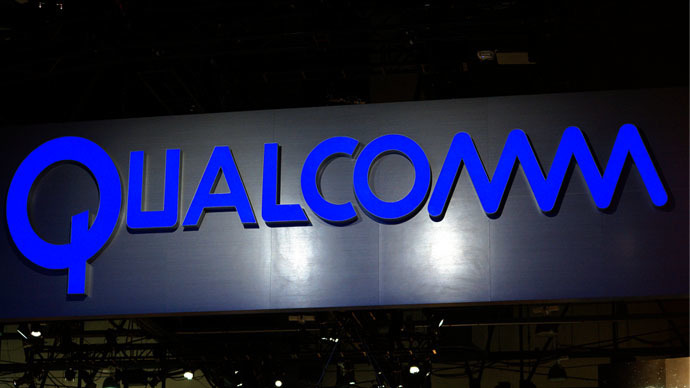 “The behavior of Qualcomm restricted competition in the market, curbed technology innovation and harmed the interests of consumers,” the Chinese Cabinet's National Development and Reform Commission (NDRC) said in a statement Tuesday. Qualcomm will offer licenses to existing 3G and 4G Chinese patents, and will now receive royalties based on 65 percent of the phones selling price, instead of its full price. China introduced a comprehensive anti-monopoly law in August 2008. Qualcomm said it will not challenge the ruling. “We fully respect their authority, but we don't believe it's likely that other agencies will necessarily meet similar conclusions,” Qualcomm President Derek Aberle said, as quoted by Reuters. The settlement immediately boosted the San Diego-based company’s stock, as it cleared up any future surprises for investors. Shares rose over 3 percent. "It removes a significant source of uncertainly from our business and positions our licensing group to really participate in the full growth of the wireless market in China," CEO Steve Mollenkopf told Bloomberg News. "It's something we're happy is over," Mollenkopf said.